Future teen heartthrobs seeking to change their images would do well to consider the example of Robert Pattinson. Cast in the first Twilight movie in 2008, playing a sparkly-skinned vampire with a romantically morose attitude, Pattinson exploded into dreamboat status overnight. Perhaps understandably, he moved through the sequels like a man who’d been sentenced to them as punishment. He endured the grind of those movies and the glare of a media machine fascinated by his romance with co-star Kristen Stewart (in case you missed it, I’m sorry to report the union is kaput). Then Pattinson got to pick his follow-up projects, and the results have been promising. 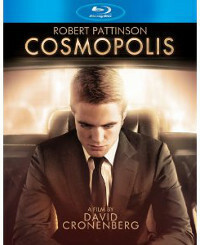 He’s done two pictures for David Cronenberg, including a confident lead turn in the wickedly sardonic Cosmopolis, plus a handful of supporting roles that allowed him to escape the vampire’s kiss (including the bookish explorer in The Lost City of Z and Lawrence of Arabia in Queen of the Desert). He became the unlikely toast of the Cannes Film Festival earlier this year when his performance in the Safdie brothers’ Good Time wowed the Riviera. For good reason: Pattinson carries the movie, elbowing his way through a series of increasingly frantic situations during a long, freezing night in Queens. He has gone full sleazeball, sporting a scuzzy goatee and a wounded animal’s impulses. Like a Road Warrior writ small, The Rover skitters across a slightly futuristic Australia, a car chase pitched against a great void. But this doesn’t feel like an adventure movie—more like a stripped-down Western about a single-minded quest. The single mind belongs to Eric (Guy Pearce), a blasted soul whose car is stolen while he’s getting a drink at a desolate spot in the outback. His wheels have been taken by three criminals fleeing a robbery; they’ve dumped their getaway vehicle outside. This means Eric can actually commandeer their still-drivable car and make pursuit. Or he could just take their car and drive away. In this wide-open world, that seems like a fair trade—yet he spends the rest of the film brutally tracking the thieves down. He has to have that car.